Sequels are tricky things. There’s a lot to live up to , to progress and to change to make it a success. When I found out that The Ninth Rain was getting one, I was excited and nervous all in one. The Ninth Rain was one of my favourite books of 2017 so any sequel had a lot to live up to. 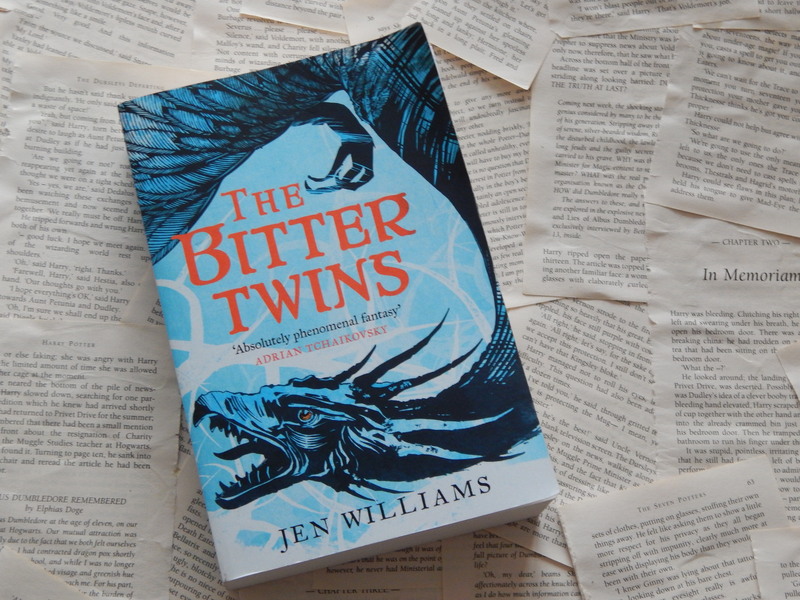 Luckily, Jen Williams is a skillful writer who has mastered her craft, delivering a sequel equally as amazing as the original with The Bitter Twins. Now, since this is a sequel, it is nearly impossible to talk about this book without giving some spoilers away about the first book. If you haven’t read The Ninth Rain yet, you need to fix that. And maybe look away now. The Bitter Twins picks up where The Ninth Rain left off. The ancient enemy has returned and our protagonists don’t have the strength to defeat them. Or at least not yet. The rag-tag group of rebels are doing everything they can to find some answers, and a way to defeat the invaders. You could really sense the danger our characters were in, how likely it was that their world would be decimated. The stakes were definitely raised from the very first pages of The Bitter Twins. They might have made it through The Ninth Rain but now only certainty lies ahead of them. Cue fast paced adventures and tantalising mysteries from my fave characters. These adventures also give Noon, Tor and Vintage the chance to see more of the world that Jen Williams has created and stumble upon some faces from the past. Williams makes a definite move to the bigger and better with The Bitter Twins, leaving me with little choice but to devour this book. And let’s not talk about how much I couldn’t deal with the ending. Let’s just say that I need the next book now please. What I think really sells this series for me is deeply flawed and well, human Jen Williams’ characters are. They’re messy. They’re wonderful to read about and really make me invested in their stories. If these characters were all well-cut heroes, the series wouldn’t pack the punch that it does.